AltspaceVR is opening it’s doors to creators today with the release of their SDK. A few developers have already began making experiences for the platform but AltspaceVR wants to encourage. In an effort to encourage developers to create apps for their platform AltspaceVR is opening up a developer fund with $150,000 available in grant money. Developers will be able to apply with a prototype and a plan and those admitted will continue in the program until they complete their projects. The developers will retain all ownership of projects made in the program, as well as with the SDK in general. Does this represent a step towards making AltspaceVR a more open platform? 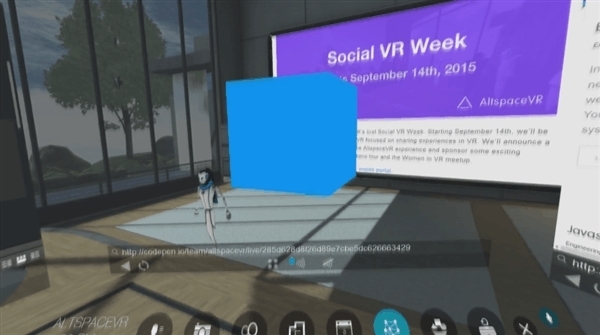 Yes, the SDK uses standard and open web technology to allow developers to share their VR applications and content in AltspaceVR – an industry first. As a result, VR becomes within reach for a wide variety of developers. Why release this now, rather than earlier with the alpha tests? What kind of applications are you looking for with the grant? We are looking for proposals that leverage the unique capabilities of AltspaceVR and the open web, and have a good plan for successful completion. Though we encourage individual developers to apply, we are especially excited about supporting small cross-disciplinary teams. What will the workflow be to create things for AltspaceVR? Is it something non developers can do? We have enabled and tested a number of workflows that leverage modern web development tools. If you already have experience in this area, your tools should work out of the box. If you are new to development, we have a great on-boarding path using live-coding tools. 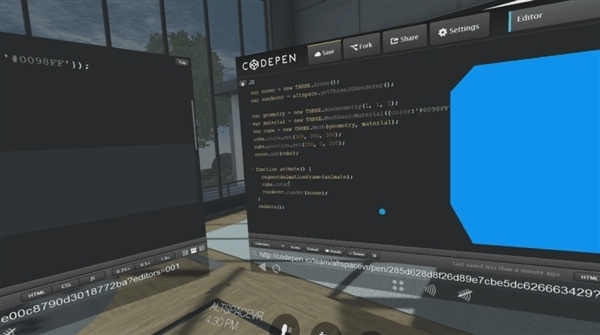 To download the SDK, or apply for AltspaceVR’s Developer Initiative Program, you can visit the AltspaceVR Developer Portal at http://developer.altvr.com/.